I have been in your shoes; I understand how frustrating it is when you put hours into creating a resume and cover letter, interviewing with the company and getting excited about the role, only to hear NOTHING in response. On the other hand, as an HR professional who does a great deal of recruiting, I’ve come to understand how important yet difficult it is to keep up with candidate communication. It is common to receive hundreds of applications for a single position, and if there are a few positions on the go at the same time, it’s nearly impossible to respond to all of them. To achieve effective communication, recruiters / hiring managers and candidates need to work together. It’s the only way to alleviate the frustration that both parties often experience with the hiring process. Consider all applications. When candidates go through the effort to create and customize a resume and cover letter, it is only fair to review their application. Candidates should be able to trust that after they apply, their application will be considered. Be transparent about the process. Some hiring processes can take less than a week and others can stretch into months, so it is understandable that candidates may get frustrated when they don’t know what’s going on and how long the process might take. At Acuity, we’ve experienced times when a client will suddenly halt or slow down the recruitment process or wish to speed it up. In all circumstances, and especially in those that are uncertain, it is important to be transparent with the candidate about the length and details of the process. In this scenario (like most), over-communication is better than under-communication. Communicate the status of the application. If at any point, following the pre-screen, you determine that a candidate will not be proceeding to the next step, consider the candidate’s stage in the process then choose an appropriate mode of communication to let them know. For example, a simple email can suffice in the early stages if they have not yet been interviewed in person. However, by the time a candidate completes the interview stage of the process, they have invested hours submitting applications, going through the pre-screen process, potentially getting time off work to attend an interview, and then actually interviewing. Once the candidate has committed this level of time to the process, a short phone call is necessary to properly inform them of their status and validate their efforts made to explore the opportunity. Apply for jobs you actually want. It is astounding how many resumes I see that are completely unrelated to an opportunity. It is the strategy of some candidates to throw their resume at every job posting they find with the hope that something will stick. A better strategy is to find several opportunities that you are truly interested in and believe are qualified for and spend time with those. Use the time you saved from applying for random opportunities to customize your resume and cover letter, research the opportunity, and attend networking events that target specific roles. Make your resume reflective of you. Recruiters / hiring managers should look at all the resumes they receive but in order to receive a call, it’s up to you to make sure that your resume is relevant and indicates that your experience, skills and abilities align well with the position. For tips on how to improve your resume, click here. Ask questions. If you have questions about the opportunity that will help you determine your level of interest, feel free to ask. It is in the best interest of both parties to lay expectations out on the table. If a recruiter or hiring manager doesn’t describe the next step in the process or it seems unclear, feel free to ask for clarity. Follow up for an update. If you haven’t heard from the recruiter / hiring manager in a while (more than 1-2 weeks) or are curious about the status of your application, ask for an update. At Acuity, it is our intention to update our candidates as soon as we have information for them, but we certainly welcome check-ins. For more information on how to appropriately follow-up, click here. 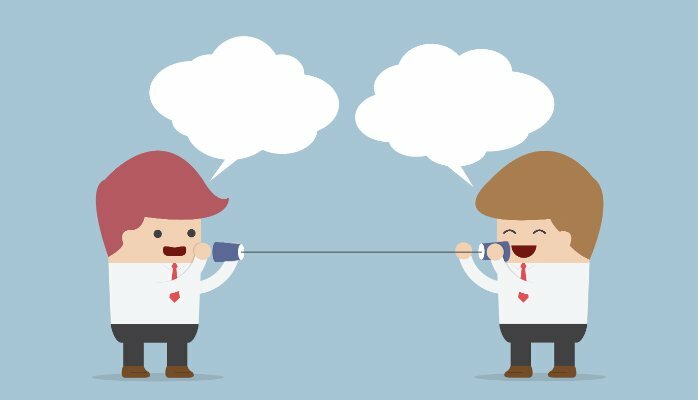 Effective communication between recruiter/hiring manager and candidate is key throughout the hiring process. This assists both parties in finding a great fit and makes for a positive experience for all involved! Rachel is an HR Generalist for Acuity HR Solutions. Visit our website or sign up for our newsletter for information about our current openings.